What is a cobot? 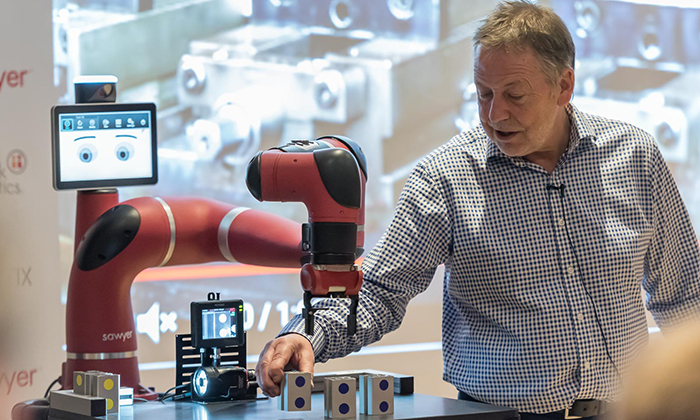 We invited Pat Fenn from Cobotix UK to introduce us to Sawyer the cobot, part of the next generation of intelligent industrial robots that are set to lead the way to domestic and workplace robots. 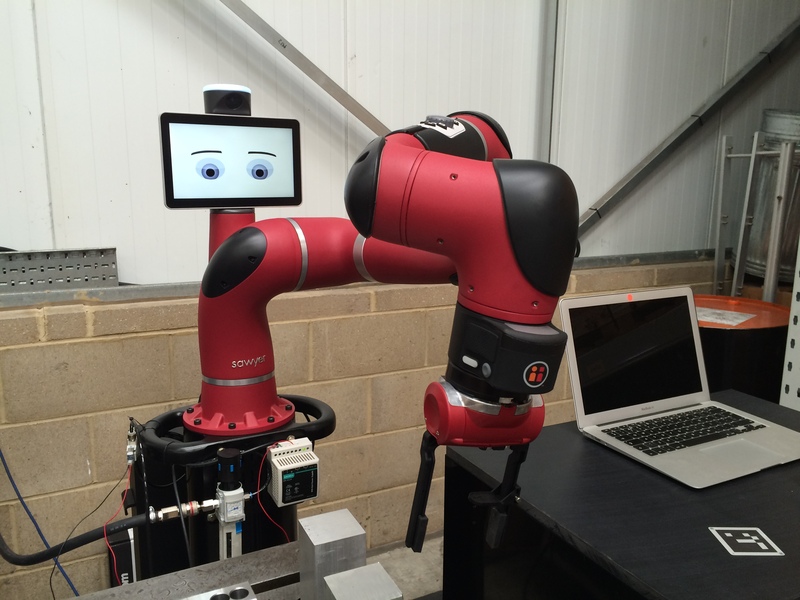 Cobotix UK, is at the forefront of introducing collaborative robots (cobots) into UK manufacturing. The cobot market is set to grow massively to $3.1bn by 2020 and to $12bn by 2025. Pat brought along his industrial cobot Sawyer and shared insight on how collaborative technology will soon become part of our daily lives. "Collaborative technology is set to become part of our daily lives"
Pat is the Commercial Director at Haas Automation UK, a VC for other AI startups and has 48 years of industrial manufacturing experience with manufacturers all over the world.